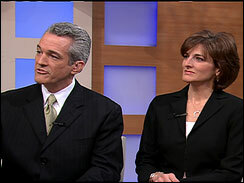 Early Show financial advisors Ray Martin and Jill Schlesinger fielded questions and emails from the public Friday about the mortgage rescue plan, life insurance premiums, the job outlook and more. Hi. My name is Maria Noel from Naples, Florida, and I'm really concerned about how much I'm going to have to pay to support people who can't afford their housing. Ray Martin: You know, her question galvanizes a lot of folks out there. This mortgage bailout program and this home affordability program from the president, a lot of people are upset about this. Over 90% of people are current on their mortgage because they bought an affordable home or they had an emergency fund so if they lost their job, they can still make payments. That program will give people a 2% rate mortgage, as low as 2%, stretch it out, pay off some of their principal, some people will save over $1,000 a month. And the only stick here is they have to sign a letter saying they'll get credit counseling if they get a government bailed-out mortgage. It's not enough of a stick. I say Mr. President, you're not done here. These people can't make a reasonable decision about credit and spending, then what you need to do is freeze their credit and credit cards. Use some of the savings and make them pay down credit cards and auto loans and build an emergency fund if they're getting this subsidized mortgage. Don't use it to inflate your lifestyle. You owe a responsibility to get a government mortgage to pay it down. My name is Nick from California. My question is when will the private sector hiring start to increase? Jill Schesinger: Great question. And, obviously, the key to a lot of people's worries right now, certain parts of the private sector are going to start picking up in the next six months. Those that are affected by the stimulus bill. So health care spending, some education spending, you will see some pickup there. If you're looking for a job in the financial sector, i think you are looking for a long time. So what you really want to do is look at that stimulus bill, identify the areas in the sectors that will be helped. Look in those areas. That's where you'll see the first pickup. My name is Mike from Hawaii. My question is as we see the stock market continue to decline, how relevant is that to the general health of our economy? Ray Martin: Really good question. That's a great question. You know, the stock market started declining in October of 2007 before all this bad economic news comes out. Why is that? The stock market's typically a discounting mechanism, thinks about forward-looking events. If you go back and look at the recession in 1973 to '74, the stock market fell about 45%. But then it jumped about 37% in 1975. And in the Great Depression, the stock market jumped in 1933 by 54%. The bad news wasn't over. Things were still tough. But the stock market then climbs. It leads a recovery even while bad economic news is coming out. It's the canary in the coal mine in bad times and starts going up before the economy shows positive signs. I have a life insurance policies from four different companies. Should I keep paying the premiums, take out loans for the current face values, or what? That's from Robin in North Carolina. Jill Schesinger: As more insurance companies are coming under pressure, I think what's really interesting about this question is people are saying, 'hey, what happens if my insurance company goes broke?' And that's a very important question. If you have an insurance policy with cash value -- and this is the question that's at hand in this e-mail -- that cash value is really a general obligation of the insurance company. So ostensibly the insurance company goes broke, you think, I'm done. But actually, each state has a system in place to help insurers -- insureds, the people who hold the policy, recap what they've lost. So very important. It's usually about $300,000 per policy, both term and cash value.